Easter is coming up soon and it’s a great time to hop out to Brunch with the whole family! Here is a list of the Easter Brunches that will be available in Dublin, Ohio on Sunday, March 31st. Please call ahead for reservations as restaurants are filling quickly. Matt the Miller’s will be serving an upscale Easter Brunch from 9 a.m. to 3 p.m. Carving stations and enhanced Chef selections will be served in addition to their already fabulous Sunday Brunch. Be sure to enjoy the Bloody Mary Bar! Adults $24.95, Children 5-10 $7.95, children 4 and under are free with paying adult. www.MtMTavern.com 6725 Avery-Muirfield Drive. 614/799-9100. The Venue at Corazon is having a Family Brunch Buffet from 11 a.m. to 2 p.m. Enjoy an exquisite buffet of traditional Easter fare in a family-friendly setting with children’s activities. Don’t miss visiting with the special guest – the Easter Bunny! $24.95 Adults, $9.95 children 3 to 11, children under 3 are free. www.theVenueatCorazon.com 7155 Corazon Drive. 614/504-5240. Whole Foods of Dublin is serving a fresh All-You-Can-Eat Easter Brunch from 10 a.m.- 2 p.m. in their store. Enjoy Herbed Leg of Lamb, Fresh Carved Ham, Made to Order Omelets, French toast and Pancakes, Pasta Salads, Fresh Fruit and Veggie Salads, Desserts and much more. Adults $25, Children under 10 $12, Children under 5 are free. www.wholefoodsmarket.com 3670 W. Dublin-Granville Road, Columbus. 614/760-5556. Columbus Marriott Northwest will be hosting an upscale buffet from 11 a.m. - 2 p.m. Roasted Leg of Lamb with Mint Jelly, Prime Rib of Beef, Roasted Turkey Breast will be a few of the hot items available along with traditional sides. Chilled Shrimp, smoked scallops, crab claws and poached salmon will also be featured, as well as breakfast items like made-to-order omelettes and waffles, bacon, sausage and fresh fruit. Fresh baked Danish, muffins and croissants will be available in addition to a bountiful array of pastries and chocolate. Adults $32.95, Seniors $24.95, Children 5-12 are $14.95 and children under 5 are free. www.columbusmarriottnorthwest.com 5605 Blazer Parkway, Dublin. 614/791-1000. Golf Club of Dublin will have two seatings at 10:30 a.m. and 1:00 p.m. Enjoy brunch favorites of Baked Ham, Prime Rib and breakfast items as well as fresh fruit, salads, side dishes, pastries and desserts. Adults $22.95, Children under 12 are $12.95 and children 4 and under are free. www.golfclubofdublin.com 5805 Eiterman Road. 614/792-3825. 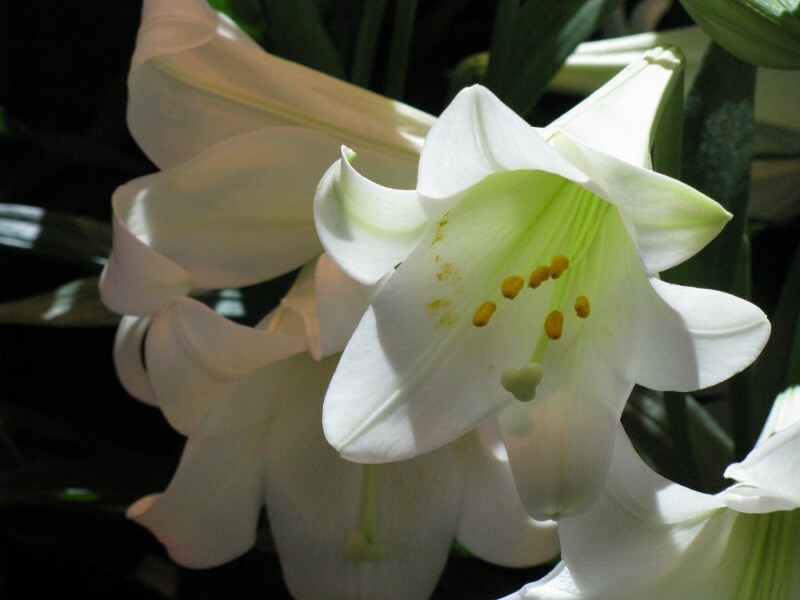 La Scala of Dublin is having their annual Easter Brunch Buffet from 11 a.m. to 3 p.m. Baked Ham, Belgian Waffles, Homemade Manicotti and other breakfast and lunch favorites will be available. Adults $19.95, children under 10 are $11.95. www.lascalaitalianbistro.com 4199 West Dublin-Granville Road. 614/889-9431. For other dining options in Dublin, Ohio, visit www.IrishisanAttitude.com or call the Dublin Convention & Visitors Bureau at 800/245-8387.